The results were fascinating and more specifically the outcome of rider perception on the ever present “taxi vs. Uber” debate was quite surprising. 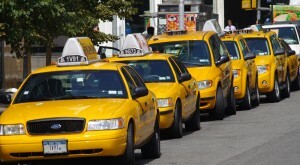 It seems with all the talk and hoopla surrounding rideshares that taxis, sadly, are becoming a thing of the past, however, 53% of travelers claim to have zero preference between a taxi or rideshare company. 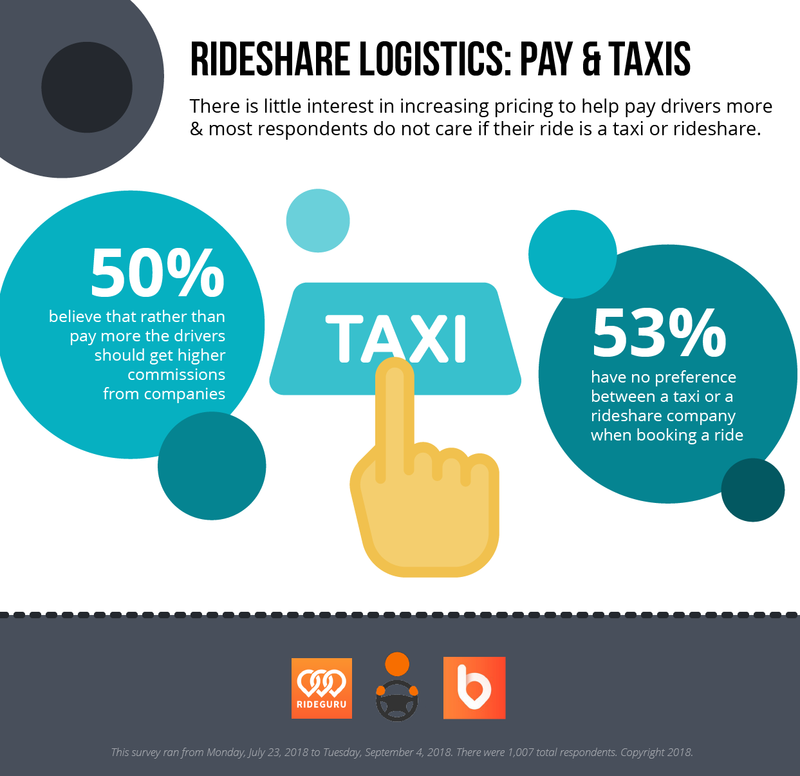 According to a follow up survey, participants revealed that the three main reasons they continuously switch between various taxi and rideshare companies is 1. price, 2. availability, and 3. customer support. While rideshares tend to be cheaper than taxis, they can be problematic during busy times when few cars are available. Riders have to either wait until demand has died down or pay extreme surge prices, many times paying more than they would with a traditional taxi. It is also no secret, that Uber’s customer support is not all that helpful. For those riders who value good customer support and the security of knowing their ride will be available when they need it, a good old taxi is the much safer option. Which do you prefer Uber or Taxi? Comment below! What is Cargo? The new service that puts extra cash in the hands of drivers. As Taxi or Rideshare Driver, we know you’re invested in finding the best ways to increase your earnings while on the road. 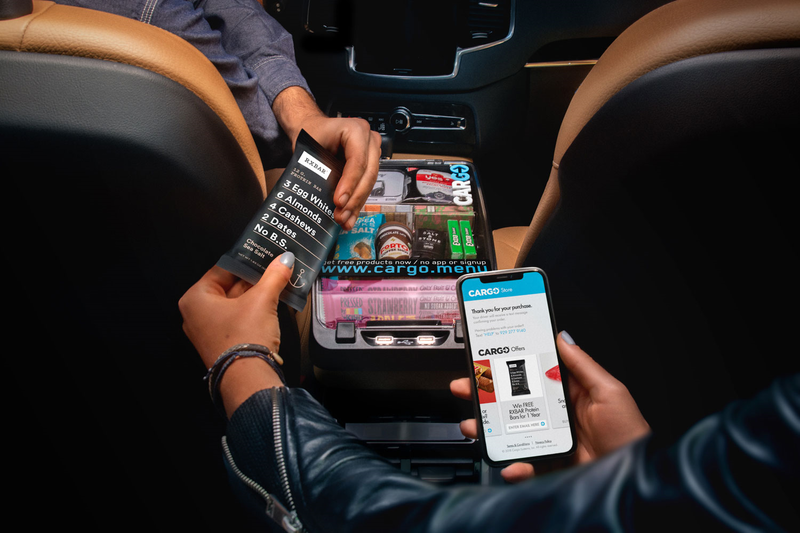 One of our favorite ways to easily boost driver income is through Cargo, a platform that helps you earn more money by providing small products to your passengers. Think of it as a free store inside your car that allows you to earn around an extra $100 per month! Cargo is 100% free for drivers. Cargo helps you increase ratings and tips. Cargo works with all rideshare companies. Cargo drivers earn an extra $100 on average. Cargo’s system is easy for drivers, sending new products automatically when you run low. Products range from snacks, small electronic accessories, personal care, energy, and beauty products that keep your riders comfortable throughout their trip. Riders scan the QR code, or go to cargo.menu on their browser, to start shopping. Once they decide what they would like, the rider checkouts through the app, and then the driver hands over the purchased items when it is safe to do so. Simple as that! Drivers receive payouts from Cargo every week and if you receive any tips through Cargo, they are 100% yours. It’s a great way to make some extra cash with very little extra work and no extra time out of your day! Tipping culture can change drastically from one area of the world to the next. To avoid coming across as rude, take a look at this helpful article outlining how much to tip your taxi driver in over 40 countries around the world. How much to tip for taxis in Abu Dhabi? How much to tip for taxis in Austria? How much to tip for taxis in Australia? How much to tip for taxis in Bali? How much to tip for taxis in Belgium? How much to tip for taxis in Brazil? How much to tip for taxis in Bulgaria? How much to tip for taxis in Canada? How much to tip for taxis in Cambodia? How much to tip for taxis in China? How much to tip for taxis in Croatia? How much to tip for taxis in Cuba? How much to tip for taxis in Czech Republic? How much to tip for taxis in Denmark? How much to tip for taxis in Egypt? How much to tip for taxis in France? How much to tip for taxis in Finland? How much to tip for taxis in Germany? How much to tip for taxis in Greece? How much to tip for taxis in Hong Kong? How much to tip for taxis in Hungary? How much to tip for taxis in Iceland? How much to tip for taxis in India? How much to tip for taxis in Ireland? How much to tip for taxis in Italy? How much to tip for taxis Japan? How much to tip for taxis Macau? How much to tip for taxis in Malaysia? How much to tip for taxis in Mexico? How much to tip for taxis in Morocco? How much to tip for taxis in Netherlands? How much to tip for taxis in New Zealand? How much to tip for taxis in Norway? How much to tip for taxis in Peru? How much to tip for taxis in Poland? How much to tip for taxis in Portugal? How much to tip for taxis in Russia? How much to tip for taxis in Singapore? How much to tip for taxis in South Korea? How much to tip for taxis in Spain? How much to tip for taxis in Sri Lanka? How much to tip for taxis in Sweden? How much to tip for taxis in Switzerland? How much to tip for taxis in Thailand? How much to tip for taxis in Tunisia? How much to tip for taxis in Turkey? How much to tip for taxis in the United Kingdom? How much to tip for taxis in Vietnam? RideGuru, a fare comparison calculator, just announced that they are now supporting UberPool, Lyft Line, and Ola Share rides! With many of these shared rides costing between 20-40% less than traditional services like Uber X or Lyft, it will be interesting to see how many people choose savings over comfort. According to this blog post by Uber, in the first two years after releasing UberPool, riders requested more than 250 million UberPool rides and globally 20% of all Uber rides completed are through UberPool. 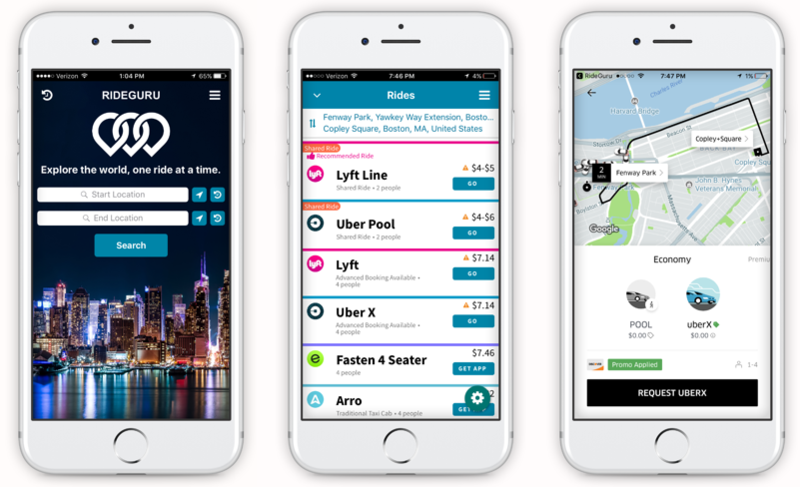 Now that travelers have an easy way to compare the cost of various shared rides with other standard services, we wonder if that number will increase further. Apart from adding shared rides, RideGuru also added a number of smaller rideshare companies to their site to give users more options when selecting a ride. Many of these smaller rideshare companies also help to fill certain niches like women only, airport rides, or rides specially designed for kids. To learn more view the full Press Release here. RideGuru took on a major expansion, adding more than 50 rideshare companies to their site. RideGuru’s mission has always been to bring transparency to the rideshare market by providing reliable fare estimates for rideshare and taxi companies around the globe. With the recent boom of smaller, more niche rideshare companies, this transparency is more important than ever. Consumers now have multiple choices for ground transportation travel in almost every city around the world. RideGuru helps to cut through the chaos by bringing a fair and equal voice to the smaller companies. Not only is the rideshare market booming with new companies, it is also seeing a shift toward shared rides. Consumers are willing to share rides with strangers if it means a cheaper fare. RideGuru, to accommodate this trend, has added UberPool, Lyft Line, and Ola Share estimates in their Fare Comparison Calculator. With this new addition, users are able to see how much they can save by taking a shared ride over an Uber X or traditional Lyft. For a full list of the companies that are currently supported on RideGuru click here. RideGuru, a product of Unleashed, LLC, is an all-inclusive rideshare and taxi information source. RideGuru is not another transportation service, instead, it is a free search engine to help you find the best ride from point A to point B. It scours rates from hundreds of services worldwide to bring you the best deals. Do you have a travel, transportation, or rideshare related business? Want to work with one of the top influencers in the travel realm to increase your brands exposure? RideGuru, the authority in rideshare related transportation, just announced that they are now working to promote brands who add value to their reader base. Over the past year, RideGuru has grown to become one of the top resources for travel and trip planning with their popular fare comparison calculator launching them as the authority in the rideshare and taxi industry. RideGuru reaches hundreds of thousands of travelers each month and has connections with over 50 rideshare companies. If you are looking to gain the credibility and respect of the travel community, check out RideGuru’s many new advertising opportunities! Article first published on RideGuru. If you are involved in the rideshare world, or in technology at all, you have likely heard of the self-driving car race currently taking place. We are here to tell you everything you need to know about the self-driving car race: what companies are involved, what their prototypes look like, and who is winning the race. Self-driving cars are the technology of the future, driven by innovation and a desire to change the way we use transportation in our everyday lives. Currently there are almost 30 companies testing self-driving vehicles in the state of California alone. The California DMV released a list of these companies that obtained permits to test their cars in the state, with the most recent added company being Apple, added just yesterday. Other companies like Google, Uber, Ford, Tesla and GM have also all been working on autonomous vehicle technology. There are many obstacles that need to be overcome before self-driving cars become a reality for the masses, some of these being technological, and others political and regulatory. However, analysts believe that the self-driving car market will be worth billions of dollars in the coming years. General Motors has been involved in the self-driving car race since its inception. They have recently planned to expand their operations in Silicon Valley and hire 1,1000 people and invest $14 million in their self-driving car operation. G.M. has been testing 50 Chevrolet Bolt electric vehicles with self-driving technology. In the next year, G.M. plans to introduce a system called SuperCruise as an option in certain Cadillac models. The system will be capable of piloting a self-driving car on limited-access highways, but it will require drivers to still keep their eyes on the road. Google’s automated car company, Waymo, has tested more than 200 million miles of driving various test vehicles. Waymo has been working on self-driving technology since 2009, long before there was much conversation on the topic at all. Since then they have developed and improved their technology to bring fully functional self-driving cars to public roads in Texas and California. Currently Waymo filed a lawsuit against Uber, alleging Uber stole Waymo’s intellectual property to create their own self-driving vehicles. Uber responded to the allegations by stating they could not have stolen Waymo’s technology, since Uber’s technology is different (and perhaps better?). Automaker Tesla is at a different stage in the self-driving race than most. All Tesla cars being produced come with full self-driving hardware already installed. Tesla’s electric vehicles have been equipped with this technology since November of 2016, but sources are saying they will need improvements in order to stay ahead of the race, especially going against G.M.’s SuperCruise. Uber currently has dozens of driverless vehicles, Volvo XC90 SUVs, picking up passengers in Tempe, Arizona. Accompanying the trips are two Uber engineers in the front seats as safety precautions in case human intervention is needed. Uber hopes to expand their self-driving car fleet to other cities in Arizona. The group in charge of Uber’s self-driving car fleet, the Advanced Technology Group (ATG), is currently deciding where their priorities should be. The group has gained attention in the past month regarding the crash of one of their self-driving cars in Arizona, and is in the process of improving their technology to make it safer for the roads. Self-driving cars for the masses may not be available yet, but hopefully we will soon see which one of these companies will come out on top. From our predictions, we see Google’s Waymo ahead of the race. They have been in the race before anyone else and have been continuously updating and adapting their technology to stay on top. 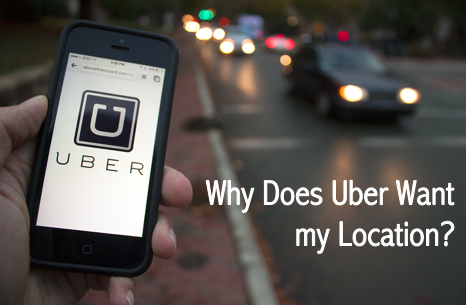 Why does Uber want to track your location? We love it when Uber tracks our rides, but our every move? Not so much! With Uber’s recent update, the app now has permissions to track your whereabouts even when you are not using the Uber app. This has upset many users who feel it is not Uber’s business to know where they are traveling to and from at all times. Is Uber crossing the line though? Head over to RideGuru to read the full article and give your opinion on if Uber should be allowed to track their users locations. 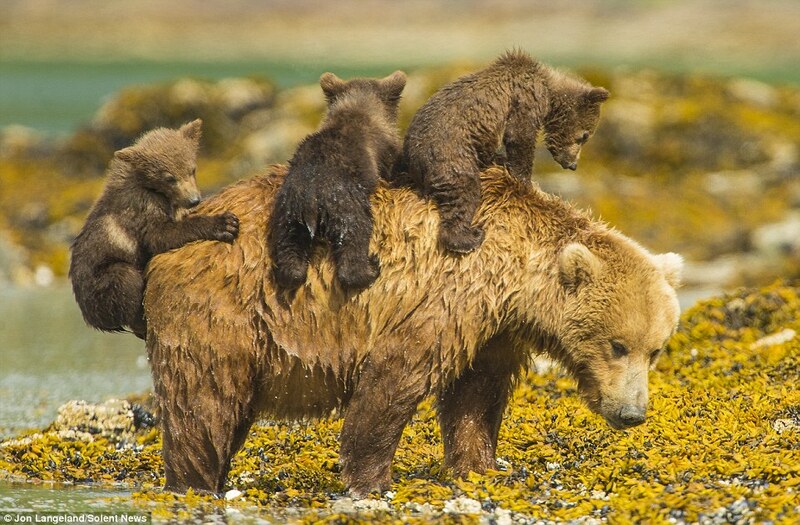 Click here to view all of our Animal Taxi Monday pictures.